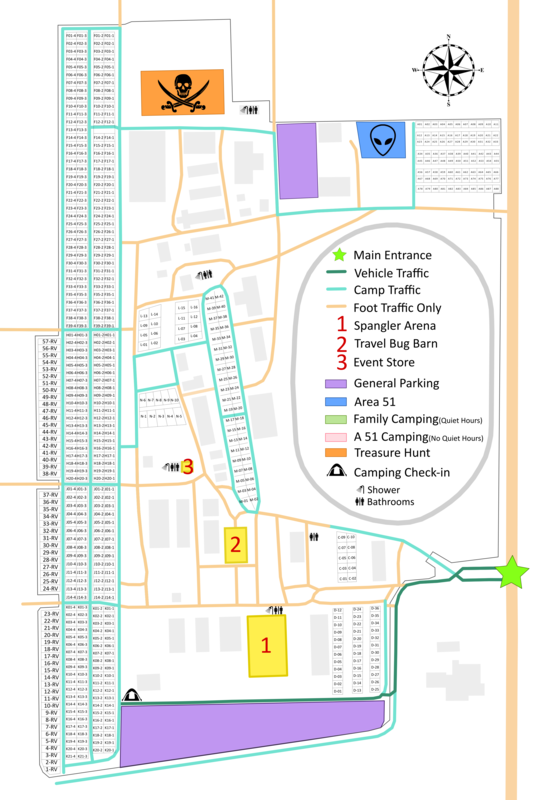 Feel free to ask any questions that you might have about the event, the area, caching, camping, etc... The MWGB is full of people who are willing to offer advice and help with making your trip to Wauseon and Bash as enjoyable as possible. We won free camping for this year. How do we redeem that when registering? When does registration begin for this year (2019)? Registration opens March 15, 2019 at 7pm. When will the schedule of events be released? Once they get the schedule nailed down they will post it and make an announcement on the GC page as well as their social media accounts. I don't imagine it will stray too far from the 2018 schedule as in regards to the major items. The 2018 schedule can still be found on the front page under the pull down tab "Schedule & Activity Info". Last Edit: 1 month 1 week ago by Team Shydog. I am in the process of registering and ordering SWAG. My question is about the path tag set in the Flamingo Club package, is it the 15th anniversary set or a different set? I know that the regular set is included also but am wondering if I need to order the 15 year set as well as the Flamingo Club package. Thanks! Last Edit: 1 month 6 days ago by beenhere. XRayshooter wrote: I am in the process of registering and ordering SWAG. My question is about the path tag set in the Flamingo Club package, is it the 15th anniversary set or a different set? I know that the regular set is included also but am wondering if I need to order the 15 year set as well as the Flamingo Club package. Thanks! The flamingo club package doesn't include any of the 15 year items. Those are all special limited edition items for this year sold separately. Last Edit: 1 month 6 days ago by OnABoat. We don't have a specific date yet for volunteer signups beginning. We'll send out more info when we're ready to get that signup process started. Thank you! That answers my question exactly. I will order a set.